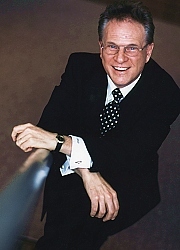 I am Jim Downham, Founder, Chairman & CEO of LeaderLinx. I’d like to welcome you to our website and tell you about our company. For our clients: Our core focus is in helping you identify and fill roles which are critical to the success of your business. We have been identifying leaders and management talent for many years. We understand the industry as we have had successful careers in it. We have functioned at the CEO level in the packaging and graphic arts community. Our years of executive experience and extensive network of contacts allows us quick access to the talented and business-savvy leaders in the industry today. Because of our breadth and depth of industry experience, we can advise on complex business and industry issues. This goes beyond your recruitment needs. Our knowledge, experience, and pragmatic approach can assist you in tackling the challenges facing your business. The partners are experienced chief executives that will provide counsel in reaching specific and practical conclusions. For our candidates: We are not a job board. Our role is to help put the right people in the right jobs to achieve business results for our clients. We spend the time with you to understand your accomplishments and career desires. We advise you throughout the process and we are readily available to provide counsel during your initial phase-in period. Our coaching support leads to long-term relationships. The LeaderLinx mission is to be the executive search practice of choice for the North American Packaging and Graphic Arts industries. We will achieve this goal by providing value Beyond Executive Search.